Home > Quizzes & Questionnaires > Quiz: Can You Manage Conflict? One important management skill is the ability to diffuse tense situations. People are complex beings, and it is only natural that they should come into conflict from time to time. Although you can do some things to minimise the frequency of conflict within your organisation, it will still occur. Work through this quiz about managing conflict and note down your responses to the questions. Once you’ve done this, you can convert your answers into points to understand how effectively you are managing conflict. 1. How frequently does internal conflict occur in your team? 3. 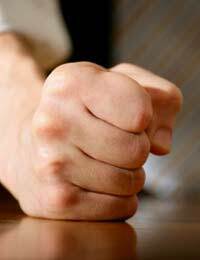 When an employee comes to you with a grievance, how do you handle it? 4. How would you describe your management style? 5. When you identify potential conflict, how soon do you intervene? 6. Do you consider yourself to be a role model for your team? 0–6 Well done! You seem to be managing conflict very well, and you rarely have to intervene to split up an argument. Either you have just been lucky and the people you work with are naturally sociable and able to sort out their disagreements among themselves or you have built a good team and managed it well. You can congratulate yourself for a job well done, but be careful not to be complacent: you must keep working to keep conflict at bay. 7–10 Although there is occasional conflict, you are managing it as it arises. You should concentrate on two areas: reducing the likelihood of conflict in the first place and handling it more reliably when it does occur. You may benefit from some training in this area. You need to come up with a plan of action to bring your team closer together. 11–16 You seem to live with conflict as a constant companion. The atmosphere in your team is very tense and it must be difficult for all of you to get on with productive work in these circumstances. You need to find a solution to diffuse this conflict, and quickly! Team-building exercises are one possible solution. If things are too far advanced for this, and there is a clash of personalities within your team, it may be necessary to split people up by moving people between roles within your organisation. One thing is for sure: you cannot carry on as you are.